Abies procera 'Rat Tail' is a very unusual sparsely branched Noble fir. It develops needles only about .12 - .37 inches (3-9 mm) in length but the leaders grow to normal length that resemble rat tails. As the tree grows in age, it may develop branches that will have normal length mixed with the others. It needs to be staked to make an upright plant. Annual growth is about 4 inches (10 cm); its 10-year dimensions are expected to be 6 x 4 feet (1.8 - 1.2 m). Found by Delbert and Barbara Hupp of Drakes Crossing Nursery (Silverton, OR) about 1985. Abies procera 'Rat Tail'. This specimen is at Hobbiton Gardens, Washington State. 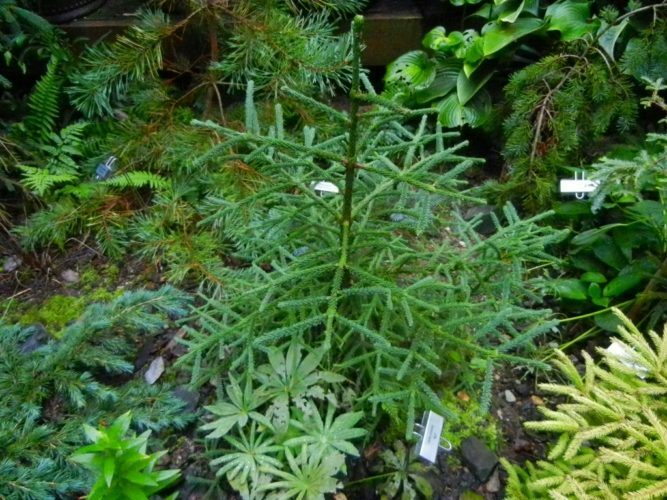 An unusual Noble fir with thin, wiry stems, reminiscent of a rat discovered at Drakes Crossing nursery, Silverton, Oregon. Abies procera 'Rat Tail'. This is the original tree located at Drakes Crossing Nursery, Silverton, Oregon. 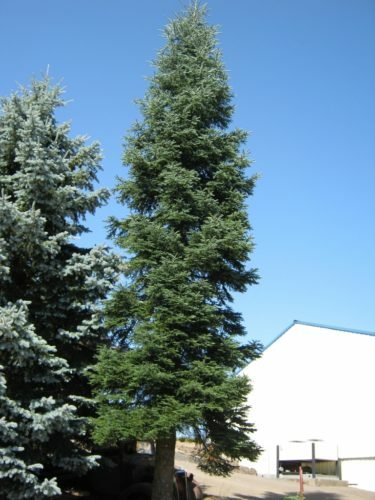 A thin, wiry Noble fir, it grows about half the rate of the species.